Becton Dickinson 44TF110 Cat. No. 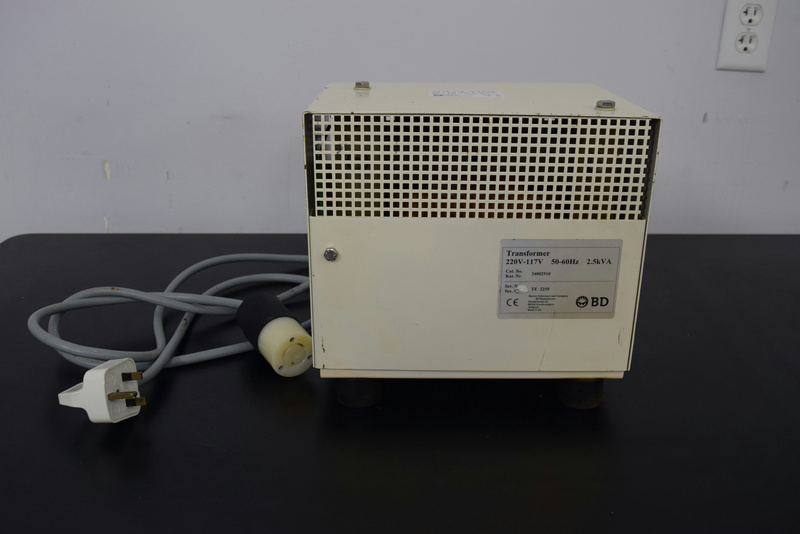 34002910 Power Transformer 2.5 KVA 220-117V . New Life Scientific, Inc. This transformer is 2000 watts, comes with a receptacle plug and input plug. What is shown in the picture is what you will receive. Our on-site technicians visually inspected but no testing was done.